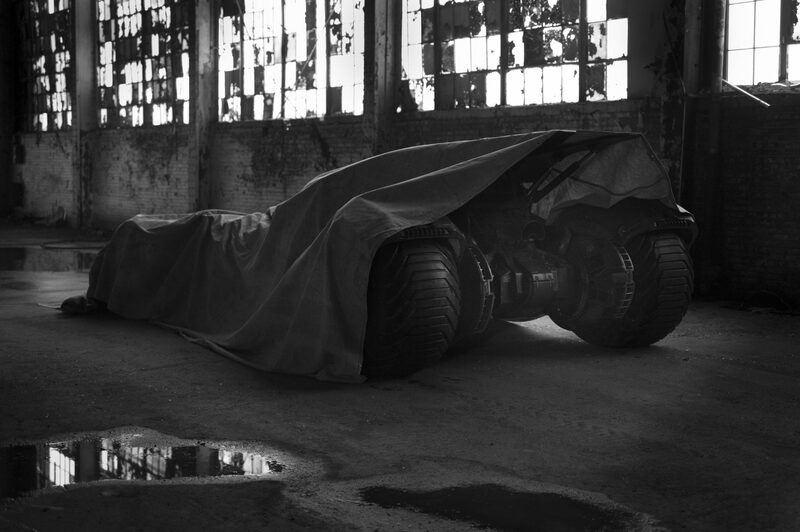 First look at Batffleck and the Batmobile! Ben Affleck as Batman and the new Batmobile! Geek-out levels too 100%! 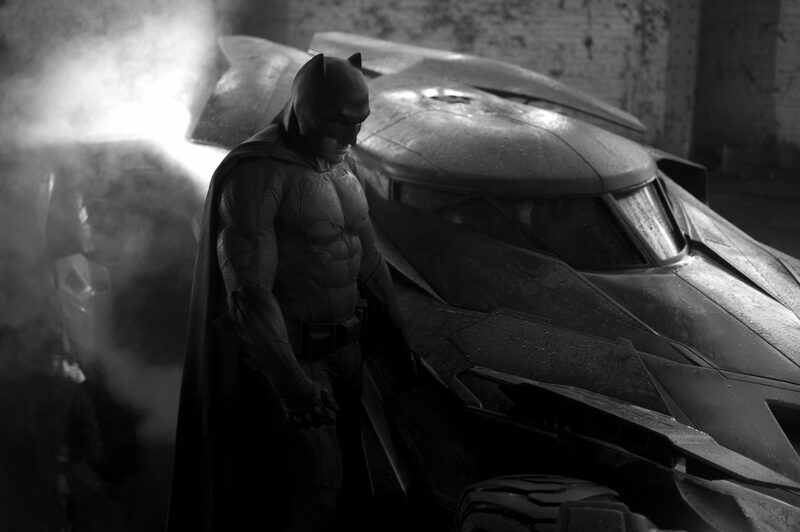 Zack Snyder just tweeted the first shot of Ben Affleck in the new Batsuit, along side the new Batmobile! Have to say, I’m rather happy with this. It’s by far the closest any screen iteration has been to the comic book so far. For those that missed the shot of the yesterday of the rear of the new Batmobile (on the right – click to enlarge), you can see its a much more slimmed down affair than Nolan’s Tumbler, although it does retain some of it’s characteristics. This fits more with the comic book vehicles, but still has a ‘real world’ feel to it. And the Batsuit itself looks as dark and menacing as Affleck does in it. Interesting to note they’ve avoided any yellow in the belt, or on the chest, but it’s still more of a costume than the Nolan movies body armour designs.